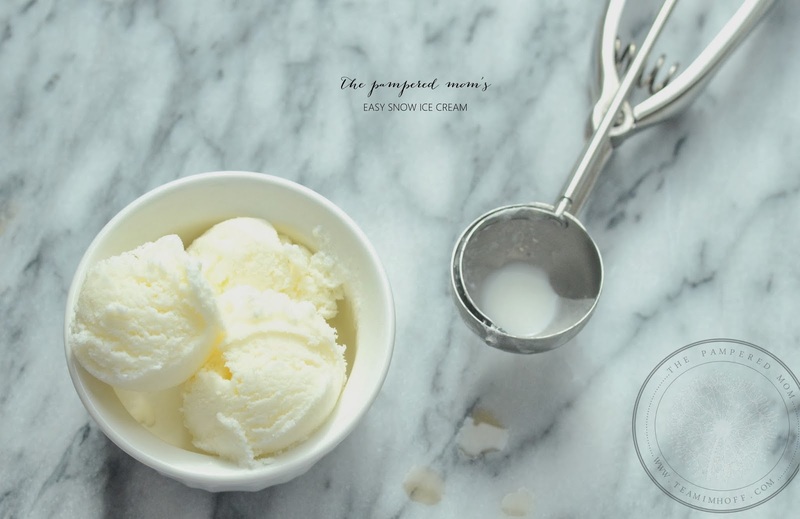 The Pampered Mom's EASY [four ingredient] Snow Ice Cream! Fill a bowl full of fresh snow. Add heavy whipping cream to the bowl of snow, making sure not to make the ice cream too runny. Add in sugar TT and a splash of vanilla. Enjoy!